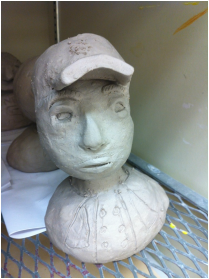 6th grade students created ceramic portrait busts inspired by sculptor, Robert Arneson. 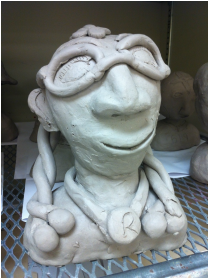 Students used pinchpot, slab and various other hand-building methods to represent their personal heroes in clay. 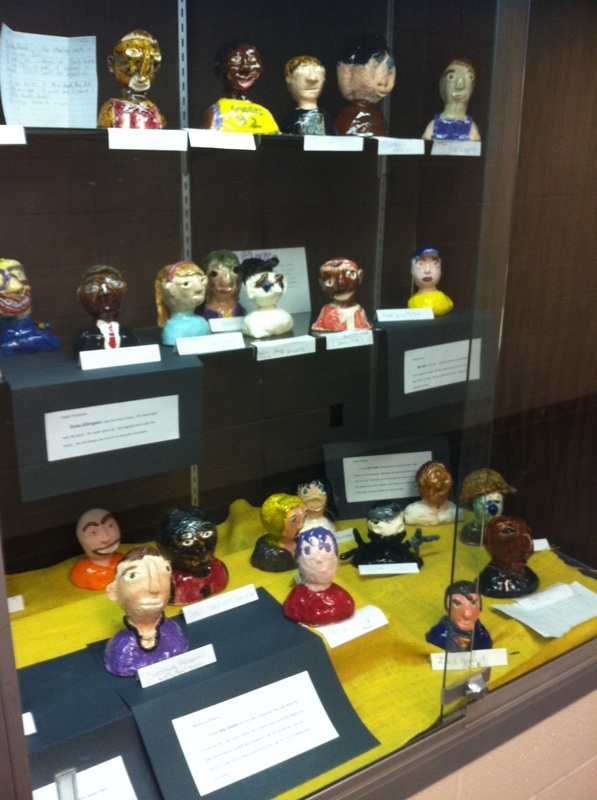 Once the busts were completed, students were asked to write a paragraph explaining why they valued their chosen hero. 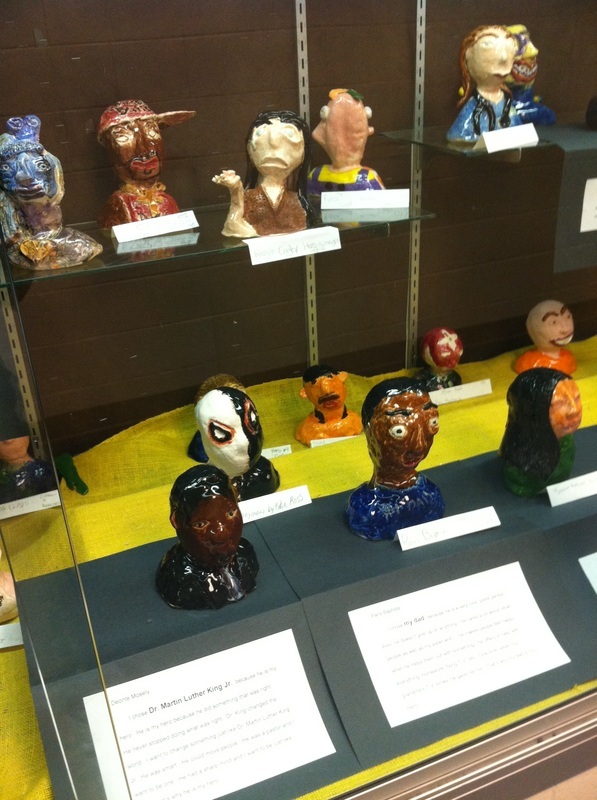 The classes had a great range of heroes from professional athletes and musicians, to political figures and family members.